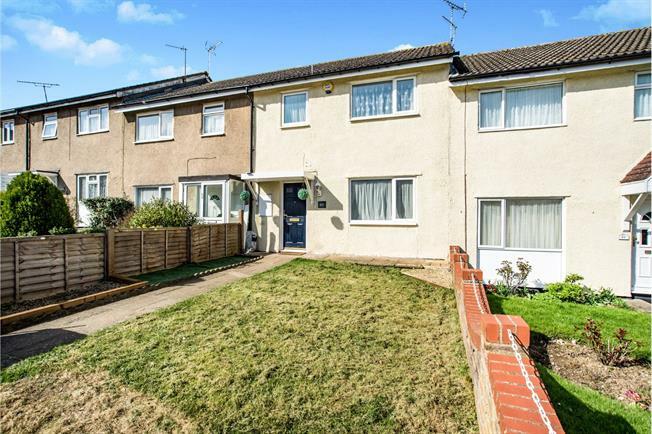 3 Bedroom Terraced House For Sale in Hemel Hempstead for Asking Price £325,000. Three Bedroom Family Home Available On Argyll Road! Found in the popular residential area of Grovehill is this good condition family home. A larger than average mid terrace property measuring over 1000 sq ft. Benefitting from local shops nearby and a very good Primary School also within close proximity. Comprising of entrance hall, bright and spacious living room, large fitted kitchen, wc and conservatory downstairs while upstairs offers a beautiful family bathroom, two large double bedrooms and single bedroom. Further features also include front and rear garden. We Highly Recommend You Book A Viewing On This Property.